On 16th November everyone’s favourite viking metal band Amon Amarth will release their new documentary and live album titled The Pursuit Of Vikings: 25 Years In The Eye Of The Storm. The package includes a retrospective documentary that features a wealth of live and behind-the-scenes content and extensive band interviews, as well as 2 jaw-dropping live sets from the 2017 Summer Breeze festival (from different stages). The film tells the Swedish quintet’s history, through both their own eyes and those of the fans that have supported them along the way. The live footage sees the band playing two sets at Germany’s Summer Breeze festival; one on the main stage with full production, and a secret, smaller scale set that focused primarily on older material. UK fans will also spot some clips from Bloodstock 2017, when the band were one of the festival’s headliners, including interviews with festival director Vicky Hungerford and long-time attendee Tom Berry. Ahead of the imminent release of the DVD I headed along to the special screening and live Q&A at Everyman cinema in Baker Street in London which featured Amon Amarth band members Johan Soderberg and Johan Hegg together with the live producer Alexander Milas and director Phil Wallis. I arrived at the cinema and felt right at home as the bar gradually filled up with metal fans – many wearing Amon Amarth tshirts or battle-jackets featuring the band’s easily-recognisable logo. After a brief introduction from Alexander Milas we all settled down to watch this special screening of the film. I loved the documentary which delved into the very beginnings of the band and documented their journey from their incredibly drunken early shows to the fiery and action-packed live shows of more recent years that we all know and love. There were also a load of really interesting details such as how some of their most well-known albums came into being, as well as how the logo was designed. I won’t give any more away because I really think that anyone who is a fan of Amon Amarth will love this DVD, particularly those who have an interest in the history of the band. Those who just love watching the band’s blistering live shows will enjoy the huge wealth of live footage from the two sets at Summer Breeze. Concert DVDs can be hit and miss in my opinion, but this one is definitely a hit as far as I am concerned and I would whole-heartedly recommend it to any fan of Amon Amarth. 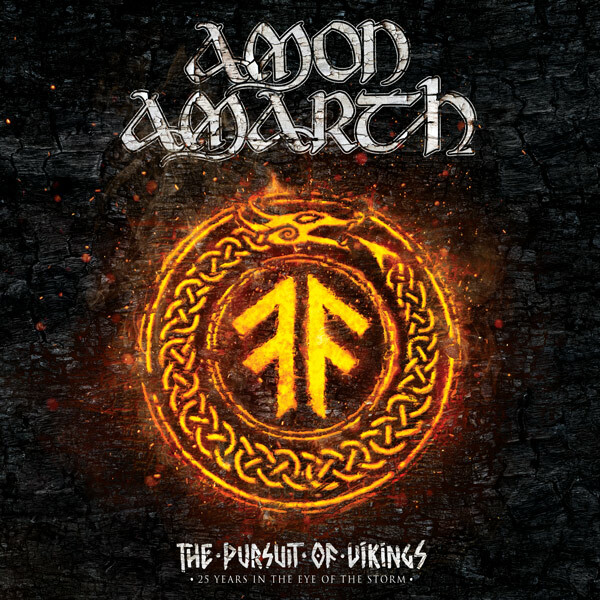 The Pursuit Of Vikings will be available in multiple formats, including CD/2DVD 8-Panel Digipak, Blu-ray (including audio digital download of main stage show), and 2LP black vinyl. Pre-order via iTunes, Google Play or Amazon.